Are you looking towards saving your website from Google Penalty? Are you looking for good tools to check duplicate content? Are you looking for Best alternatives of Copyscape? If yes then read on. In this complete post, I will show you the best Copyscape alternatives. Plagiarism is stealing someone else’s creation and displaying it as your own. It can harm both the parties, whether that is the original owner or the thief. Here the creation can be anything – content, images, music, videos or any other form of art. There are many plagiarism checking tools available in the market, but anything special for content owners to detect the theft? Why we need to check the plagiarism? Consider, if you are hiring a content writer, you need to check whether he has copied the content from somewhere else or created his own content. You can also be penalized by Google, for using duplicate content. So, if you are moving towards having your own blog or website, then it’s better to use the original and unique content. Then and only then your site will be loved by Google. Copyscape is one of the best plagiarism checkers. 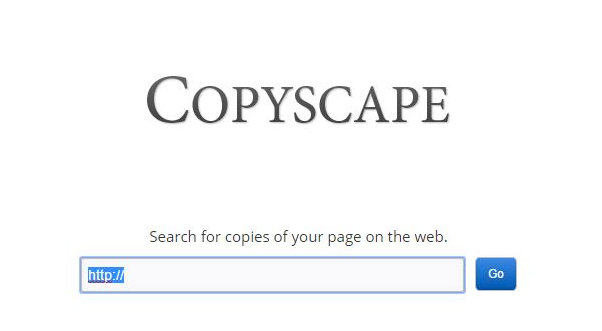 Detection of unwanted and copied stuff from your blog, is just matter of few seconds with Copyscape, what you need to do is just enter the URL of your site. Copyscape will be bring the results in terms of list of website from where the content is copied or found similar. Now, what if you don’t want to go with Copyscape? No worries. It is not the only tool available for plagiarism checking. Here, I have listed three alternatives for Copyscape. 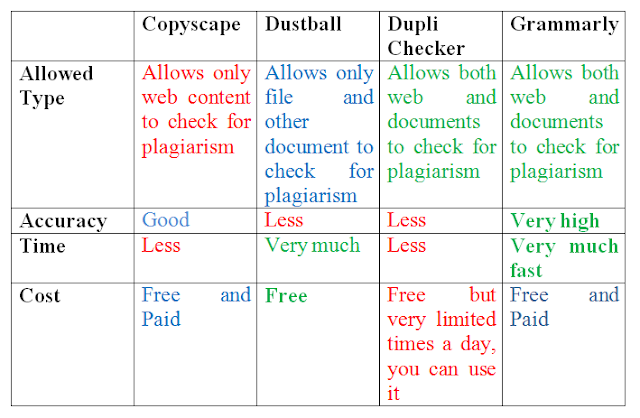 Dustball is one of the most successful plagiarism checking tools. If you are professional writer, then Dustball can be the right choice for you. Dustball comes in free version as well. So, you don’t need to pay high to gain the quality plagiarism checking. It is the best plagiarism checker and writing enhancement tool. It can be one of the best alternatives of Copyscape. 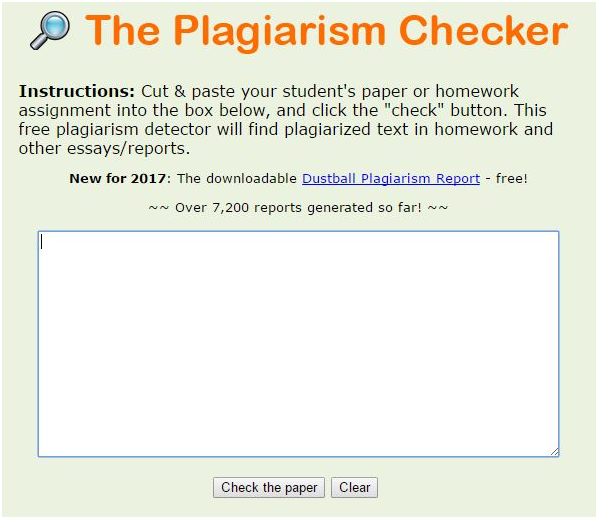 It is one of the easiest plagiarism checking tools. You don’t have to release high amount of payment from your pocket to assure the quality of your content. What you need to do is just upload the file and get the detailed plagiarism report. You can upload the file of your assignment, report or website articles in any format and within a single click you will get the report. You can also copy paste the piece of your content in order tho check the plagiarism within it. If you are connected with writing industry by any means, then it is next to impossible that you have not heard of this amazing grammar checking and plagiarism detecting tool. This tool is on the top of the list, as it checks more than 7 billion files within some seconds and immediately provides the plagiarism report. This is THE BEST grammar checking and plagiarism checking tool available till the date. 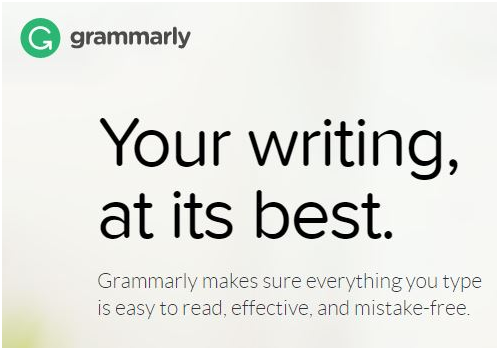 I bet, you can’t find better alternative of Grammarly. You can also read Grammarly review here. This tool is available in free and paid both the versions. You can give it a shot and pay for the complete enhancement and betterment of your writing. I hope, now you would be having idea, which tool is better as per your need to check the plagiarism. I again warn you about plagiarism. It’s not a small issue, it can harm your online business and reputation very badly. So, never ever underestimate the importance of plagiarism checking. All these tools mentioned above are used by wide range of audience and they are satisfied with the results. So, you can pick any tool from the above list which is matching to your needs. Personally, I would recommend you to go with Grammarly as it includes many other important features than grammar checking and plagiarism detection. Though if you are still confused between these tools, then let me make it more simple for you by comparing all of them in tabular form. If you have used any of these tools, then let us know your experience with them via comment section, and if you haven’t tried any then give them a shot. You will really find it useful and life saver for your blog from penalization. Feel free to share this piece of information with the other writer friends of yours. Message: I hope that you have enjoyed '3 Best Copyscape Alternatives - Copyscape vs Grammarly, Dupli, Dustball' article on Tips2secure. However, if you want me to deliver more items, then please share my post. You can use Social Sharing Widget provided at the end of every post. After all, Sharing is Caring!